Xochitl Sosa- Our Colibri- La Piñata Original… She is one of the bay area’s leading single point trapeze artists. She is amazing to work with!!! Las posadas, winter solstice, Piñata #15 is about Love. Vamanos! This time Piñata is in full drag and trapeze! yes! La Piñata is finally in the air! (And in drag tambien… pero en el piso) Come and see a taste of this new development with the the incredible performers of PDC: Dominique Nigro, Andrew Cortado, Xochitl Sosa, Daniel Arizmendi and Liz Duran Boubion. Mbongui Square. We are honored to be part of this interdisciplinary performance festival curated by Byb Bibene at Zaccho Theater in the Bay View area in SF. Mbongui Square is an annual arts event organized by Kiandanda Dance Theater, which gathers dance, music, visual arts and spoken word artists of varied styles and artistic choices, from the Bay Area and across the world for a sharing of their talent and art. What defines Mbongui Square is interdisciplinary arts + multicultural community. Daniel Arizmendi- Sneak peek at our Piñata Queen in rehearsal..come see her dance in full drag this weekend! This entry was posted in Events, Featured Event, Performances, Workshops and tagged aerial dance, Contemporary Dance, drag performance, interdisciplinary, mbongui square, piñata dance collective on December 8, 2015 by Elizabeth Boubion. We didi it! ¡FLACC! 2015 choreographers just performed our 2nd annual showcase at the Mission Cultural Center for Latino Arts with 7 outstanding choreographers : David Herrera, Zari Le’On, CatherineMarie Davalos, Liz Duran Boubion, Rogelio Lopez, Juan Aldape and Detour Dance. Read a review by Katherine Orloff here. It was an incredibly generous offering of talent and energy all with a common understanding of the importance of ¡FLACC! we had 2 different previews in the SF Weekly! One in print, and one on-line! Read the online preview in SF Weekly! During the festival, ¡FLACC! also provided a low cost 4- week teaching series at the Mission Cultural Center for Latino Arts with Latin@ educators: Arturo Fernandez, Diana Lara, Emmeline Gonzales-Beban, Zari Le’On, CatherineMarie Davalos, and myself- ¡FLACC! is dedicated to making contemporary dance practice and performance accessible to Latino communities and beyond. Thankfully, I was able to get an extension until October 24th for our Indiegogo campaign! I’m reaching out to ask for your support for the 2nd annual “FLACC 2015” campaign on Indiegogo. Your support provides a platform for Latino/a contemporary choreographers to share our artistry, our voices, and get the visibility needed by being part of the ¡FLACC! community. This entry was posted in Workshops on October 5, 2015 by Elizabeth Boubion. !FLACC! 2015 is just around the corner, have you purchased your tickets yet? And look! we got on the cover of SF/Arts Mag:-) Enjoy 7 Choreographers in 3 evenings of dance Sept. 25-27. Also, please consider donating to ¡FLACC! and become a community supporter of the only festival of its kind on the West Coast! Support our Indiegogo Campaign here. Join the ¡FLACC! familia as we grow! ¡FLACC! is the ONLY annual festival on the West Coast celebrating the artistry of Chican@/Latin@ Contemporary Dance Choreographers! And it’s here in the San Francisco Bay Area! We are bringing visibility, accessibility and inclusion to underserved Latin@ choreographers and communities. Imagine September 25, 26 & 27, 2015 at the Mission Cultural Center Theater packed to capacity with 150 people each night and an inspired audience buzzing with excitement to see 7 outstanding local Chican@/Latin@ choreographers making high level dance theater production. It is our 2nd year and we are quickly growing. Our goal is to triple our audience size from last year within a larger venue and include our fantastic teaching series this year. We just need you! ¡Te necesitamos! Our artists, dance teachers, administrators and presenters are committed to making contemporary dance performance and practice accessible to under-represented Latin@ communities and beyond. Your donation will directly support this vision and help us reach our goal this September 2015 event. 2) Low-cost* ¡FLACC! FRIDAYS Teaching Series. Every Friday, twice a day in September @ MCCLA with Bay Area dance educators. *Scholarships are available. See teachers and class descriptions here! ¡FLACC! supports emerging and established Dance Artists of the Latin@ Diaspora who are choosing to make dances of the non-traditional, border-crossing, rule-breaking, cutting-edge, queer, avant-garde, contemporary, curious, experimental, abstract, sensitive, hybridized, neo-classical, or revolutionary varieties. For our purposes, choreographers with “Latin American” cultural heritage or ancestry are defined by all countries that speak Spanish, Portuguese, or Indigenous languages in the Americas- from the Borderlands of the US to the tip of South America, including the Caribbean Islands. Indigenous contemporary choreographers of North America and all US-born Chican@s and Latin@s are also invited to apply to this Festival. Inclusión: We aim to create a welcoming space for audiences and artists to deeply engage with unique Latin@ perspectives crossing barriers related to race, place, class, ability, gender and sexual identity. ¡FLACC! is also committed to giving our greater community of Latino@s more access and exposure to contemporary modern and experimental dance forms by offering low-cost dance classes, a free panel discussion with the artists and placing our work on a stage that specifically houses Latin@ artists. 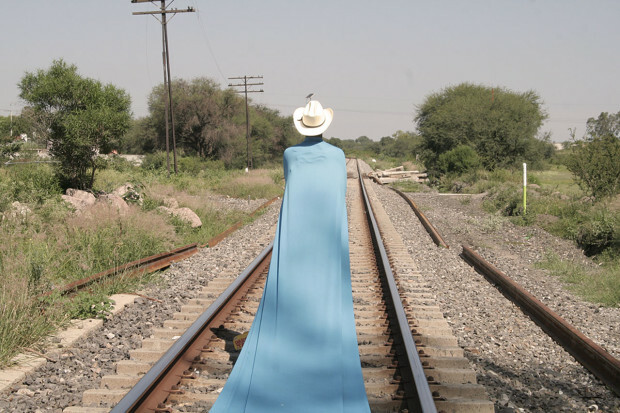 Voces Internacionales: Director, Liz Duran Boubion, is currently working to foster a bridge with contemporary dance artists in Mexico and seeks to invite choreographers from other countries and states as we grow. ¡FLACC! allows us to share our experience and innovation globally with each other as immigrants, locals, mixed-race Latin@’s and international artists within the dance community. La Raza/Meeting each other: Our sustainability depends on our collaborations with each other and we are rapidly creating a recognizable platform for Latin@ choreographers to meet one another under one roof. Our cultural identities can often become insignificant within the contemporary dance world. ¡FLACC! puts cultural perspective at the center by supporting Latin@ choreographers. To date, the emotional response of ¡FLACC! audiences and the power of our connection to each other is immense. ¡FLACC! allows us to share ideas and experiences with one another, claim our diverse identities and find out who’s out there. Davalos Dance Company, Rogelio Lopez and Dancers, Zari Le’On Dance Theater, Juan Aldape, David Herrera Performance Company, Detour Dance, Piñata Dance Collective. 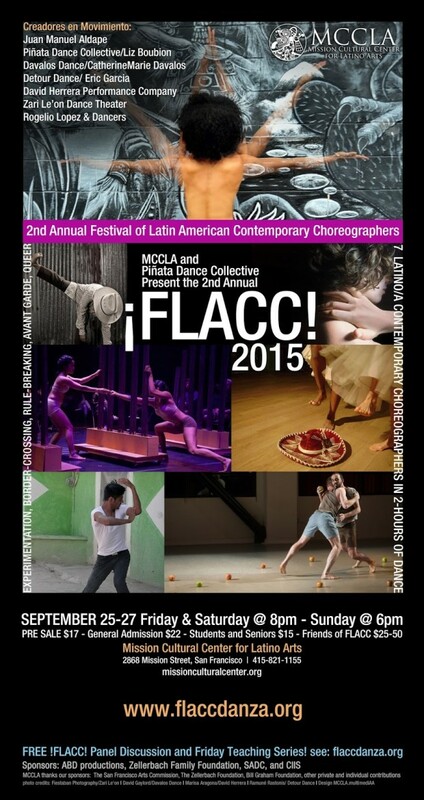 As a project of The Piñata Dance Collective, ¡FLACC! 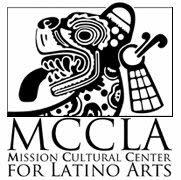 has been blessed with the generous help and sponsorship of our co-presenters at the Mission Cultural Center for Latino Arts. They are providing the MCCLA Theater space, tech staff, box office, house manager, PR, MCCLA administrators and more. However, we still need to raise $8,000 to cover ¡FLACC! artist fees and operating expenses for the festival. $700 to 3rd party processing fees. We are confident that we will raise the funds necessary to make this important work available to our communities and in tripling our audience from last year. We can do it! ¡Podemos Hacerlo! With your support. Con su apoyo. If you would like to make your donation tax deductible, please Enter your donation on-line through our ¡FLACC! Ticket Page on EventBrite! Fiscally sponsored by Mission Cultural Center for Lation Arts. ¡FLACC! needs volunteers and social media fairies! If you aren’t able to support monetarily, ***volunteer to help distribute postcards, sell tickets, usher or sell concessions! Your presence at the show is the best way to be part of this historical movement. Please spread the word and make announcements when you can. REMEMBER to use the Indiegogo SHARE tools (Twitter, FB, youtube, etc). Purchase an ad in our show program, become a corporate funder. Donate technical talent, software or materials. Muchisimas Gracias to our community supporters Zellerbach Family Foundation, Mission Cultural Center for Latino Arts, Shawl Anderson Dance Center, Monkey Yoga Shala, ABD Productions, ODC, Counterpulse, Dance Mission Theater, St. Mary’s College, UC Berkeley …AND YOU! Stay tuned for updates! Piñata Dance Collective is creating a brand new ¡FLACC! T-Shirt this year and printing some of the amazing photos from our choreographers that will be available as a perk or to purchase at the show on Sept. 25-27. This entry was posted in Workshops on September 15, 2015 by Elizabeth Boubion. In the beginning, I am a beet red baby born in an October heat wave in the L.A. basin. pero soy una mujer entera! Is being a whole woman enough? How can a mother be half? How can the moon be half? The moon is always whole. You just can’t always see her. Its not true that no one caught me. The earth took me for her own. Please join me with Emmeline Gonzalez-Beban and Ria Das Gupta for another (different and new) Piñata deconstruction at the Mission Cultural Center for Latino Arts on May 16, 2015 for Illusion Show! This interactive event is curated by Adrian Arias and is AMAZING! Audience wears black and the performers all wear white. The gallery is blanketed with white paper everywhere to create upon from 5pm-11pm. Piñata Dance Collective is on at 8:45pm and dancing with colored tissue paper…The beginning utterances of a piece I am working on for ¡FLACC! 2015. in September and for Mbongui Square in November and for Piñata En L’air when I get the funding to make it a full-length production. 96 artists are participating in ILLUSION SHOW! May 16, 5 hours of ART, starting at 5:11pm @ Mission Cultural Center for Latino Arts, 2868 Mission Street, San Francisco. Missionculturalcenter.org. Wear Black! Piñata Dance Collective is grateful to our individual donors, the Zellerbach Family Foundation, Shawl Anderson Dance Center, ABD Productions, Monkey Yoga Shala, and MCCLA. CLASSES: Please come to my last modern classes at Shawl Anderson until the fall. Due to the kids program this summer, my class will be put on hold starting June 15. Ah-Lan Dance Academy- Come see our presentation on June 7th at Albany High School! My modern dance kids are fantastic! I’m also teaching Family Yoga, Pre-Ballet and Ballet at the Oakland YMCA. Contact me for more info. MEXICO- I’m going back to Guadalajara! Stay tuned on FB as I share my journey teaching in MX again this summer! Hosted by Victor Infante and Marlet Martinez, I will be offering classes and workshops June 15-July 6. This entry was posted in Workshops on May 9, 2015 by Elizabeth Boubion.